Protecting your enterprise data is often referred to as a technology issue, but most cyber attacks begin by fooling a user into doing something, such as unknowingly downloading malware or giving up security credentials. This “social engineering” is the most common way that an online attacker will gain access to your business – and the hardest to defend against, because it exploits everyday human weaknesses, rather than technical vulnerabilities. How do attackers fool your employees via email, Web, phone, and onsite? What are some of the latest methods they use to trick users and employees into breaking security policy? And most importantly, what can your organization do to keep its employees from being taken in? In this informative Dark Reading webcast, top experts on social engineering will answer these questions and many more. You’ll learn about current social engineering methods and the “human” threats posed by online and physical attackers. 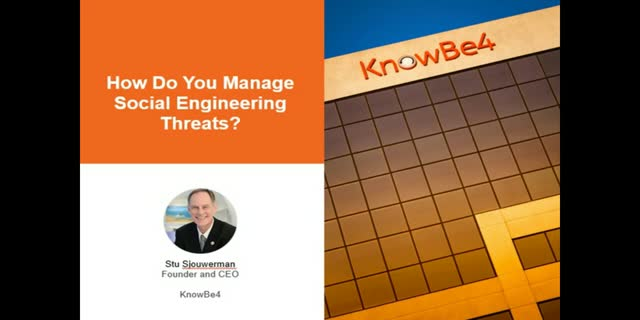 You’ll also get insight on how your organization can train and test its users and employees to recognize and turn away these social engineering exploits – before they compromise your business.